Take Care of My Fridge is not only getting a second season, it will also be aired on Zhejang TV. Until now it was a show released online only. Second season is planned to air in April. Every episode will be 45min long. Zhejang TV is the same broadcast station where the Chinese version of Running Man airs and also the Voice of China. Fans who were worried about Jackson's future activities in China after the controversy involving JYPE and Tzuyu can rest assured now. 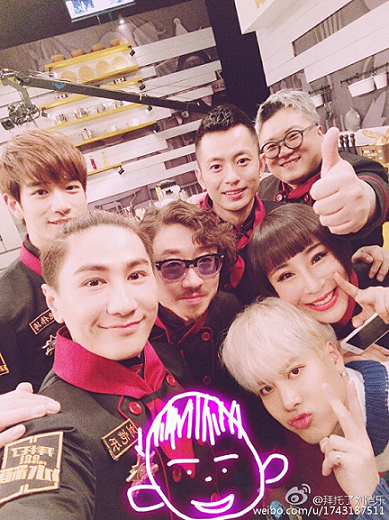 He Jiong and Jackson will still continue hosting the show together according to the news. 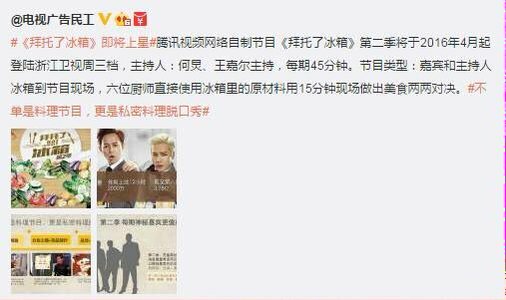 What's more, Jackson's appearance on Hunan TV's Day Day Up was confirmed for the end of March (his appearance was previously cancelled). Just like it was announced in January, Jackson is going to replace one of the MCs, Xiao Wu. Such a good news.. I hope he can take care of his health more since he has many activities now..
so true. after watching go fridge i have trouble watching shows like a look at myself with him and tzuyu :/ they make me feels uncomfortable. This, I was so uncomfortable watching A Look at Myself. It was weird to see the usual happy Jackson not being here for it. I don't gollow Jackson. How did they drag him? Before your comment, I never realized how indeed he will almost always be dragged on every shows he guested in. I really love Go Fridge and the cast is so good to him. I hope that the show going on TV will be good for him, and it turn good for got7. And yay about Day Day Up! Yay, I'm glad they're going to air it now. Zhejiang also has Running Man and Challengers Union so hopefully we'll see him guesting on one of those soon too.I love watching him interact with the fridge family, they all adore him. Yay I love this show. i like how the show is just very positive about everyone and everything. you can tell yhat jackson has a good time there and there is trust between the cast members. This show is so fun, thanks to the friendly camaraderie of the cast. I checked out Taeyeon's episode and she and Yonghwa had a lot of fun despite half the cast speaking another language. It's kind of funny because for a cooking show they spend 2/3 chatting and doing random games, but it does give you a little insight on what the celeb's lifestyle and preferences are like. I haven't watched the korean one yet. This page was loaded Apr 23rd 2019, 2:18 pm GMT.